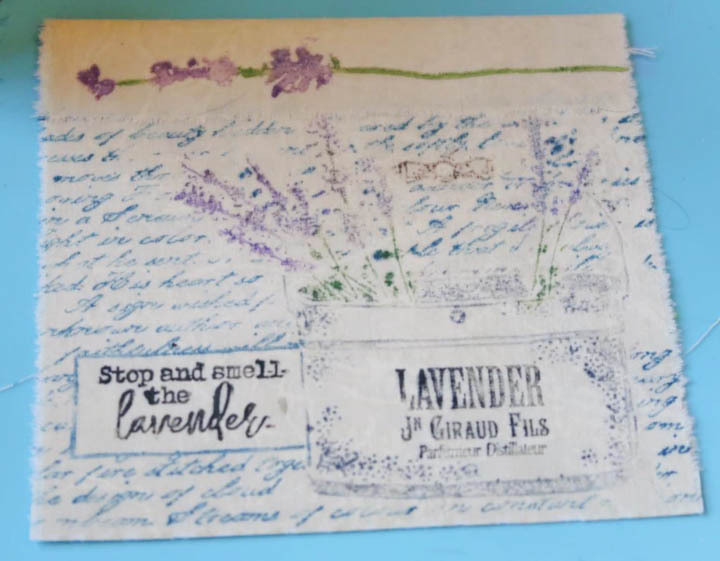 Imagine’s Color of the Month for August is Lavender so I decided to create this lovely little “No-Sew” lavender sachet. This is a quick and easy project and with the help of Fabrico Markers and a bit of Tear It Tape, you can have a pile of these little goodies to use and to share. 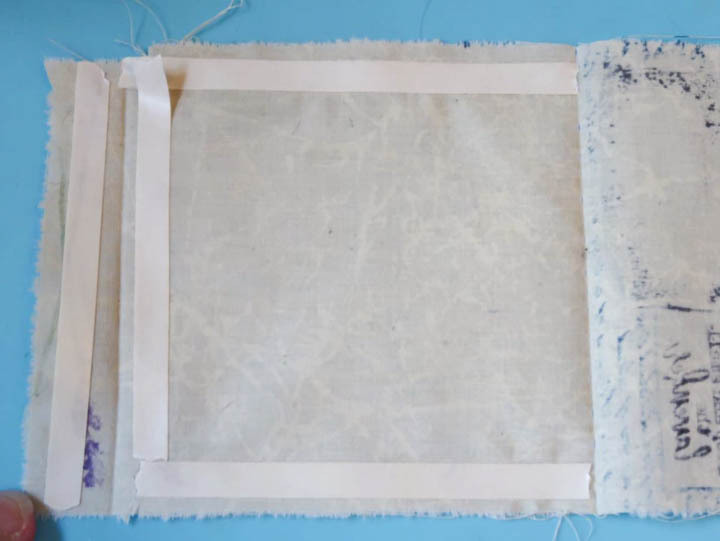 Cut cotton fabric to the desired size. Iron the material into a square. If desired add a flap at the top to create an “envelope”. 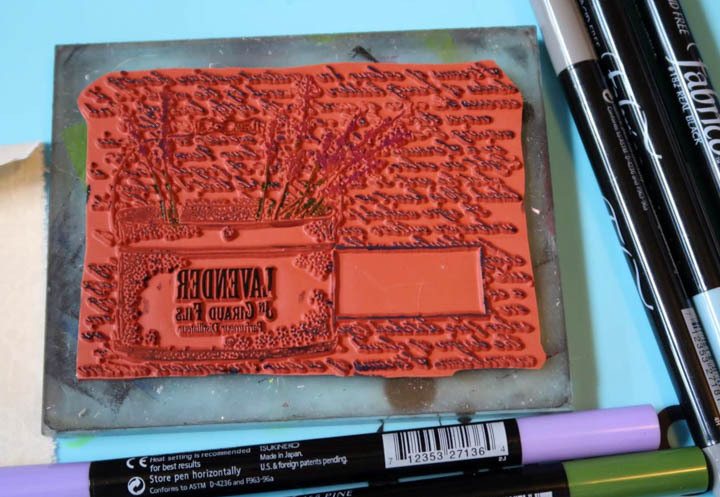 Use Fabrico Markers to color directly onto the rubber stamp. 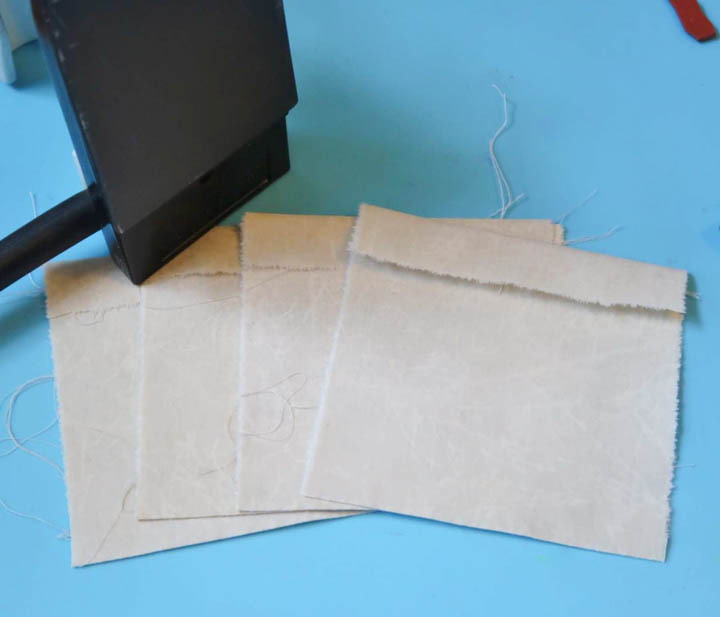 Press the inked stamp onto the fabric. Use a hot iron to set the inks by running the iron over the stamped image 30 seconds. Open the fabric up and affix strips of Tear It! Tape to the edges of the fabric as shown. An extra piece was added on the flap to hold it closed as well. 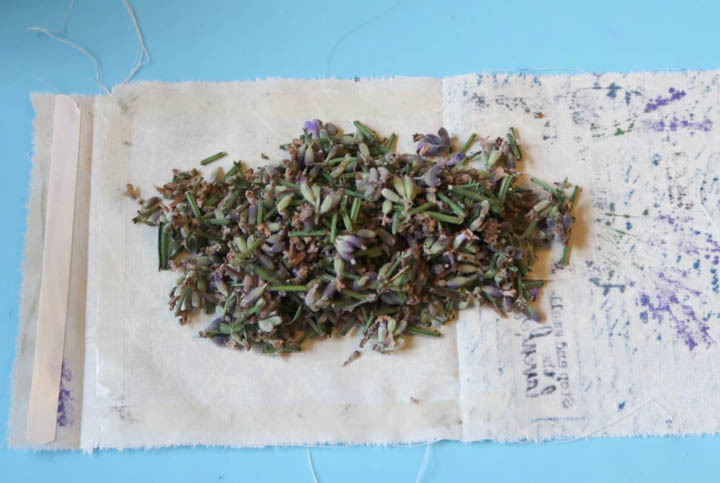 Remove the liner from the tape and carefully place a small pile of lavender in the center of the fabric. Fold the front of the sachet over and press the edges together to secure. Remove the tape from the flap and secure. This entry was posted in 2018 ARTIST IN RESIDENCE, Beginner, DIFFICULTY LEVEL, DIY, Fabric, Gift, INSPIRATION, Intermediate, Mixed Media, PROJECTS, Roni Johnson, Techniques and tagged Crafting tutorial, DIY, DIY Inspiration, Fabrico Markers, Handmade, Home Decor, INSPIRATION, Lavender, Lavender Sachets, quick and easy crafts. Bookmark the permalink.